When the vision is clear, the results will appear. Simple, with practical steps to accomplish everything you need to begin to realise your dreams. Loved this practical guide to vision boardings, goals and execution. Would love to give it 5/5 but its heavily Christian references make it a niche book and not for everyone - if you can get past the Jesus bits it is well worth the credit. Wrote my vision, made it plain! This is an awesome book. I absolutely love how she backs everything up with scripture. I've heard of plenty people and their own experiences with vision boards, but after reading this, my board went to the next level. I was able to be more specific with my images and really began to thank God for the vision he placed in my heart. I've even written down my goals with proper intention, and specific deadlines. Now I command my day and thank Him for partnering with me to fulfill what is already given to me. Awesome read. About to listen again for more insight. Hab 2:2!!! It's been a while since I listened to a book by Terri. 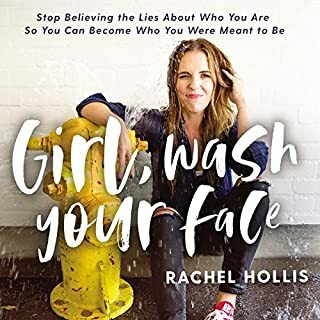 I've loved her books and YouTube videos for years. This book is really a master piece if you ask me. 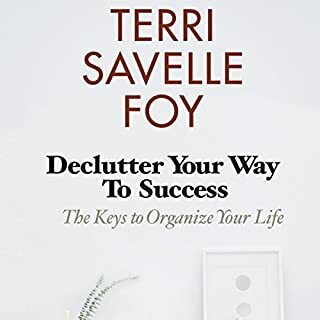 Teri's simple, easy-to-follow instruction on how to get results in your life is laid out perfectly in this book. If you do what she says you will succeed in your goals and dreams. 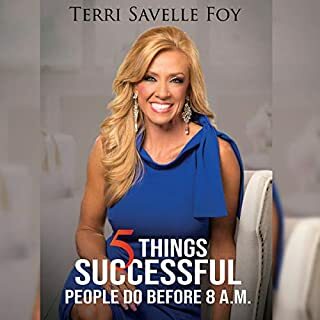 Terry's use of scriptures to help one connect Gods ways with a true workable success plan is really awesome in this work. I highly recommend this book. I'm going to buy copies for friends and family. Thanks Terri! Blessing! 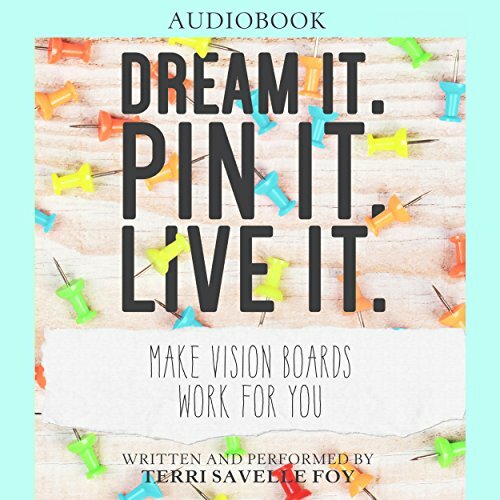 This audiobook is a great resource for learning about Vision Boards and how to make and use them to set visual goals towards your DREAMS being fulfilled! One of the many quotes that I love from this book is "Give yourself permission to dream big." This book has helped me to do just that. It's easy to get caught in the day-to-day rat race or find yourself unmotivated to dream big again. This book has re-inspired me and after the first day of reading it I began to see how my way of living has changed. I've begun the 30-day challenge and have encouraged my friends to do the same. At first I thought how could you possibly say a book full of words when making a dream board. Boy I was wrong. It was because of all the details I can actually do a board because I throughly understand the reasoning and the process. I also appreciate the scripture references. I really enjoyed this book not only for myself but so that I can encourage others to live out the dreams that God has put in their heart. Amazing and life changing information would recommend to anyone. The stories of multiple famous people starting from nothing and through belief and dedication achieved great accomplishments, were very inspiring. I learned so much from this book, it was very informative! I'm looking forward to applying the technique that were mentioned in this book. Faith comes by hearing and hearing the word of God. After listening to this book I am truly motivated to develop my own vision board and to cooperate with God give to see my dreams fulfill. Will listen again. Goal/Dream setting guide. Very helpful. Terry is a blessing in my life and a catalog to the changes in my life style and success. Terry I can't thank you enough. You are definitely fulfilling your calling to bless and encourage people around the world. 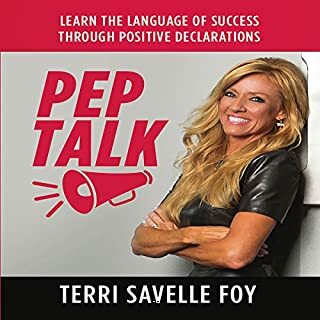 I've truly enjoyed listening to Terri's book. I found out about Terri through her weekly videos on YouTube. Before her I always used to hear of things like dream and think big stuff from a few sources. But within me I had believed the constant lie that someone must have been born with that kind of quality of imagining big things. So when I heard speakers or preachers say such things, I always thought that the message was never for me. But finding Terri's testimony and her videos made me realise that I was a victim of the devil's lies that I had been believing. 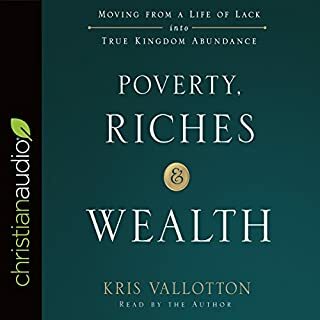 I took action an opened my Audible account and made sure that this book would be my first of many to listen/read. I am so glad I decided to take this step. I'm now believing in ideas I had when I was little and dreaming dreams that I would have never dreamt, and I know they are going to be manifested. This book has been truly God sent for a person like me. Gradually I'm taking charge of my life and making choices that will benefit my future. I’ve tried so many times to achieve my dreams and made vision boards but never seen it or approached it from Terri’s perspective. With this book I’ve now found a new hope and strategy to make my dreams come true. Thanks Terri! Changed my life. I can dream again. Inspirational instruction, based on the Word of God, regarding imagining big goals and visualising them as a means to reach them. I was particularly inspired regarding the biblical importance of sowing as one of the important actions in achieving goals. I really thought I was getting solid tips on how to create a vision board. I'm open minded but throughout each chapter the author quotes verses from the Bible frequently. would not have bought it if I knew. I respect her views and each to their own, but it wasn't the book I was expecting. in the end I deleted it. Inspirational and practical. 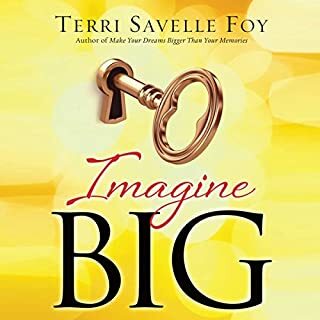 This book helps to feed your imagination to dream bigger and gives great advice for how to put action behind thinking.